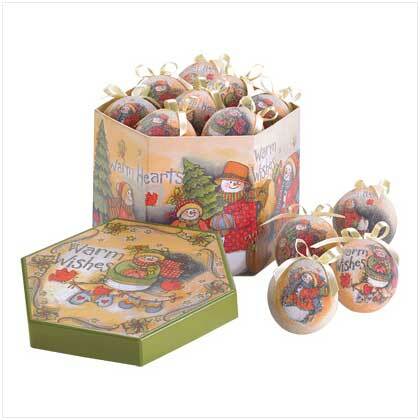 Lift the lid off this sturdy gift box to discover a timely yuletide treasure - a dozen designer decoupage ornaments are nestled snugly within! Chic box and ornament set features coordinating prints for a truly put-together look. A thoughtful gift, or a tasteful way to trim your own tree! Cute "Warm Wishes" country snowmen print. Paper and polyfoam. 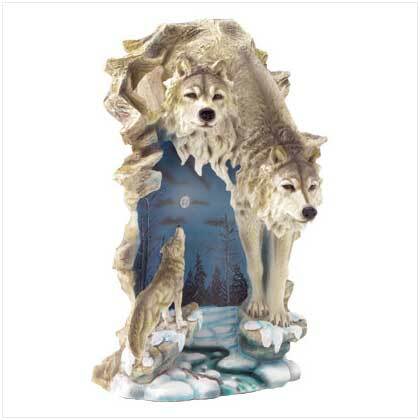 Each ornament is 3" diameter x 3 1/2" high; box is 10" x 8 3/4" X 6 1/2" high. Set. Retail Price: $24.95.